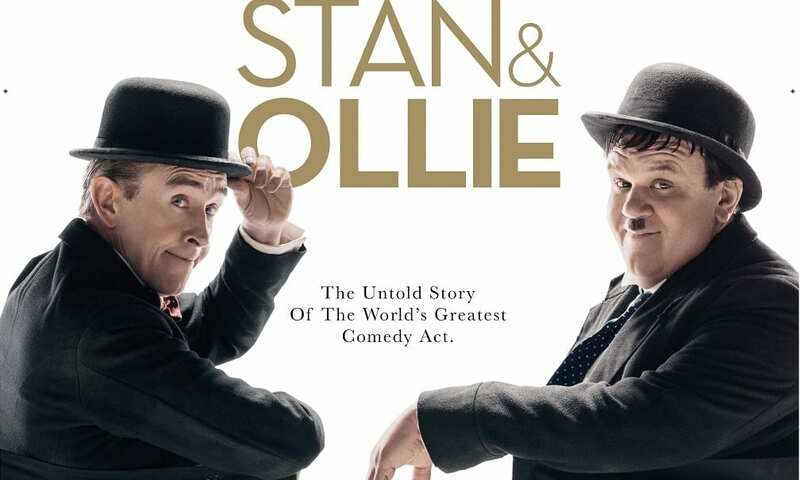 New movie Stan and Ollie is a real treat to those who have an affection for Laurel and Hardy. What could have been “another fine mess” was a moving tribute to one of the ground-breaking comedy double acts of cinematic history. As a child, in the 1970s I watched their films often on a Saturday morning on the 3-channel television. Whilst the cars were a bit odd and shot in black and white, they didn’t seem particularly dated, at least no more than others – as the television diet for children also included a fair amount of black and white 1950s American syndicated shows like Whirlybirds, Champion the Wonder Horse, Flash Gordon, Zorro and Lassie. I have to admit I had reservations about the film but Steve Coogan’s performance or perhaps impression of Stan Laurel was fantastic. John C Reilly also provides an impressive performance of Oliver Hardy. The movie itself is charming and shouldn’t disappoint any fans. It reveals a deep friendship between the pair and provides an insight into their working partnership and some of its difficulties. Notably the different manner in which they approached their contracts at work and the way money should be handled. Mr Hardy seemed to have something of a gambling habit, it isn’t clear from the story if this was problematic, but it is inferred. What I had not realised was that unlike the movie stars of today, they were employees of Hal Roach. He was a ground-breaking film maker of the day, but also a shrewd businessman. there was no bonus scheme or royalties and if a film failed or succeeded, they were paid the same. Laurel was clearly more financially astute, demanding that his contract be properly revised, Hardy’s contract still had time to run. The contracts were deliberately established this way by Roach, precisely to prevent them from negotiating together. Hardy seems not to have appreciated the implications and also lacked the courage to stand up to Roach, perhaps (I don’t know) because his gambling required the certainty of a regular income, not least to provide for his 3 ex-wives. Laurel and Hardy movies were shown around the world and Roach made them shoot each in several major European languages. They were coached and read from out-of-sight blackboards, phonetically, all to maximise revenue for Roach. Laurel and Hardy were consequently never financially secure, at least not by today’s Hollywood standards. The movie picks up at the end of their career, when they are mainly forgotten and having to earn a crust. Many are surprised that they are not retired, but this is a case of having to work. As much as Laurel and Hardy loved their work and working together, clearly, as a financial planner, the aim is to ensure that you have the choice about whether to work or not. Retirement is a poor word; a better phrase is “financial Freedom Day” – the day you choose to work because you want to rather than have to. In any partnership, speaking the same language and having shared goals is vital to financial wellbeing. Your financial planning really doesn’t need to be comedic, it is your life’s work so invest in the right counsel with a proper financial planner. Here is the trailer. I’m confident it will make you smile.